......................Tripping Artfully............................: WOYWW #194- New Stash ! Good morning wowers, its Wednesday again time for us to show our desks to the world. This is mine as of last night playing with my new stash! I had promised myself not to purchase any more stamps but when I saw these from Jo Firth Young aka JOFY I just had to have them.... and so had a play last night. Coloured some tags with Ink stains. Then stamped images, added extra colour with my water colour pencils and highlighted with white pen. This is a page from my 3rd journalling class with Neil Walker, hidden pockets tags and flaps. This is the Hand of Destiny or doom , however you want to take it, my hand although mine is not normal blue with green stops, but then again....not yet finished so watch this space. So take yourself of to the lovely Julia's for the T & C's re snooping and have a good day :). Wow did you make nice tags!! Those tags are fantastic and that stamp set to die for. I love the colours of your tags and the stamps look fab. Lovely thing going on here, Francesca! Beautiful colours for your tag backgrounds!!! 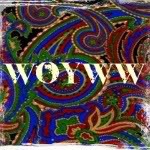 Thank you for the hint on my wrong link for WOYWW! Fixed it now. Oh and very handy and useful journal page!! Happy WOYWW?! 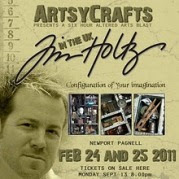 Have a great crafty week! Hi Francesca - what gorgeous tags you have made. Love the vibrant colours and the stamps are perfect for using the white gel pen. I think you should enter a couple of them in the challenge over at Artful Times (http://artfultimes.blogspot.co.uk). Wondering what the blue hand has to do with a pocket - no doubt you will enlighten us soon. Love your tags. That Jofy collection is adorable. Your tags are beautiful, also love the journal page, looking forward to the finish page. Your tags are beautiful - I can see why those stamps were so enticing! I too have sort of told myself that I don't need any more crafting supplies...... we'll see! Your hand is quite interesting. I bet Neil is great at teaching. I always enjoy visiting his blog. I have not seen that brand of stamps before, will have to have a further they look wonderful, and very fun. wow, love your journal, stunning and what a fabulous desk, I spied your lovely new stamps - wouldn't mind some of those ! Hi Francesca, I love what you are doing with your new stamps, your tag backgrounds are gorgeous! We love your new stamps, slight stash envy here. We may have to do a paw page after seeing your hand art. Thanks for visiting the bears this week. can I ask what white pen it is you use? I've tried some and not got the results you have on that tag, I have the inkessentials one and a sakura one, none of them are like that though.